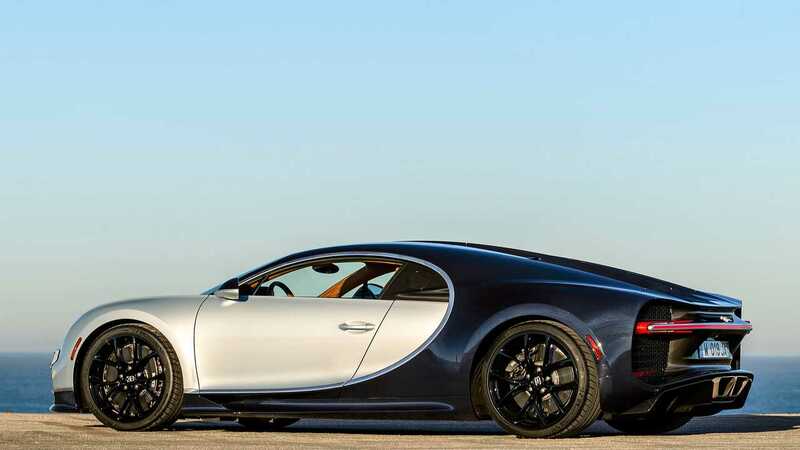 The $3 million Bugatti Chiron is a record breaker. It's 16-cylinder engine boasts 1,500 hp and 1,180 pound-feet of torque. It scoots from 0 to 60 mph in just 2.5 seconds, 0 to 124 mph comes in only 6.5 seconds and its top speed is an astounding 261 mph. Clearly then the lowly Tesla Model X P100DL is no match for this monstrous machine, or is it? 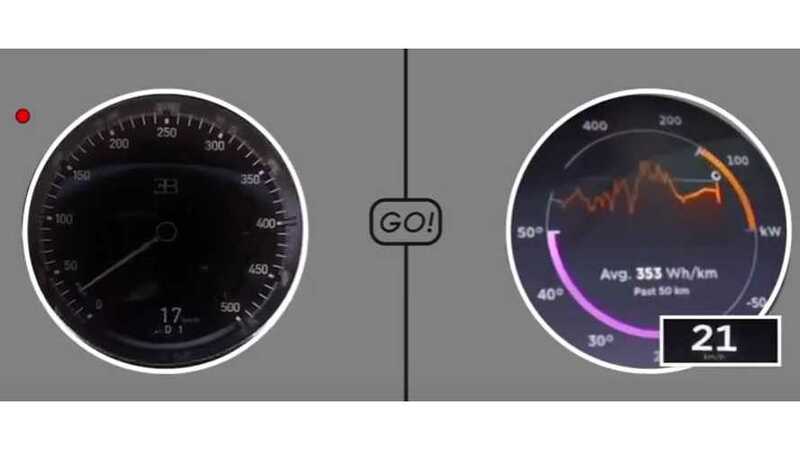 What the video shows is simply two speedometers timed to compare the acceleration of the Chiron (left speedo) and Model X (right speedo). What you'll notice is that the X seems to get the jump off the line, but quickly the Chiron's sheer might overtakes the X. It all happens in the blink of an eye though, so it's hard to catch the fact that the X jumps out to the early lead. The Model S P100DL would hold the lead a bit longer, but the mighty Chiron would still prevail as speeds climb beyond double digits. "Bugatti Chiron VS Tesla Model X P100D // 0-200 km/h"